SLS: Is It Ok to Podfade? - Is it OK to Podfade? - How to be born again as a Podcast? - We want to hear what drives value to you in this podcast? - When is the Right Time ... See More to Podfade? Well, Podfading is generally burnout or life change or you ran out of things to discuss. It is OK to Podfade, but take the opportunity to learn from it. It could be a temporary mental state you are in, if it is then take a week off from doing an episode and regroup and create an improved format and maybe bring in a guest or something to get the energy back in you and your audience. One must be careful about changing too fast though as audience gets used to it, gradual change is always better. - We want to hear what drives value to you in this podcast or not? What value do you get from this podcast? 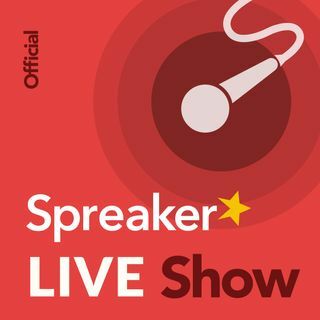 We can talk more about Spreaker? Great show. I have always wondered if this was a good thing to do. I also miss certain podcasts that have podfaded. Hopefully, they shall return. Great encouragement!!! relaunch on its way. It can be, but does not have to be expensive to do. Thanks for Listening to the Live show today!